An interview with Rahul Varshneya. 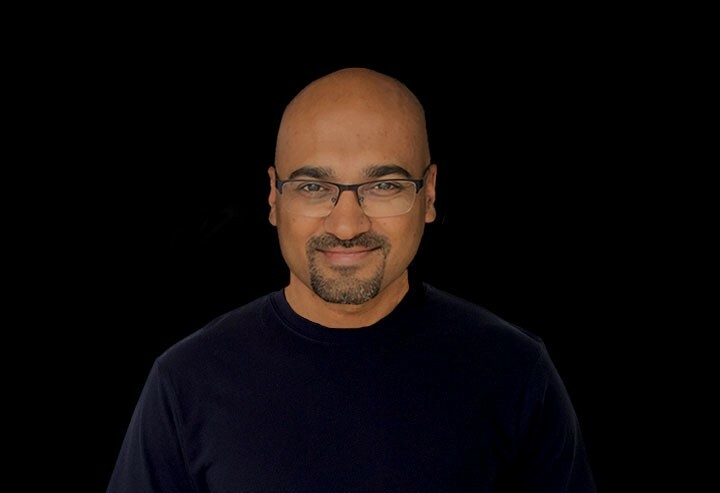 Rahul Varshneya is the author of Appreneurship and contributor to Forbes and Entrepreneur. He is also co-founder of Appreneurship Academy, where aspiring entrepreneurs learn how to turn their app idea into a profitable business. I had the chance to interview him about his book and speak about what is important when you create your own app. Yakup-Ceyhun: The subtitle of your book is: How Build A Mobile App Business With No Technical Background. Why did you focus on non-tech people? Rahul: It actually comes from my own experience. I built, launched and scaled five companies and all have been tech companies. So I did learn to code but this was almost 18–20 years back and I coded websites for others. When I say for others actually I learned to code myself, I got a job and created websites for others. I realized that I don`t have to work for a company, I can run my own business and built websites for others. So that`s where my journey as an entrepreneur started. I started from coding myself to running a technology business; this was my first consulting business. So I did some of it but I was not anymore actively coding products because I ran the business. Since then I built three other tech companies and also a consulting company. All these technology companies that I built were in different industries. I`ve built an online art gallery this was a fine art space; a fine art technology company, another company was online learning or e-learning space. So all in these cases I would not necessarily call myself a technology founder because I can`t code these complex website. I always hired developers for this jobs. While building these companies I saw and learned that there are far more people who don`t have a technology background who are building software businesses. You don`t have to have necessarily a software background to run a technology company. So let`s say you’re a medical practitioner, maybe you’re a doctor, you have an insight of your industry, you see a problem that is happening in your area and you want to solve it through technology. If you want to solve this problem through technology you’re a non-tech solver. You don’t have technology knowledge but you have deep insights of the problems of your customer and want to solve it in a better way. So you become a non-technical founder and as a non-technical founder you have so many questions. You don`t know anything about technology, you know about your own expertise; so how you do it? So that`s where I started to put together the book because I had been a non-technical founder myself and had a lot of these questions myself. And then mentoring and coaching other non-tech founders in their business I realized a lot of them have common questions. The book and also the articles that I write are answering all the questions of somebody who starts a technology company without tech-knowledge. What are they ways to identify profitable App niches? I take a step back, so the approach to entrepreneurship should not be which are the profitable App niches, the approach as entrepreneurship should be led by a really deep desire to solve a certain problem for the customer. That`s when you want to change something, where you want to see a different kind of result for people and also for yourself. This should be the drive and the motivation to become an entrepreneur and not necessarily to look what is profitable and then leverage it. The reason why I say this is, profitability is a reason of the business model it is not about a niche. Apps are profitable across all niches and there are a lot of different business models. There are apps that are earning millions of dollars just through advertising and there are also apps that are not even making 10 Dollars on advertising a month. Every niche is profitable, it is about how you solve the problem effectively, how you’re able to market and promote the application, how do you build your funnel, how do you sell? It`s really in the business model which makes it profitable versus not profitable and not necessarily a specific niche. You have to understand on a deeper level the problems of your customer. Understand how are they solving these problems today. Is what you build a must-have or a nice-to-have? One way to evaluate a business on sustainability is to ask if you offer a must-have solution or a nice-to-have solution. So the difference is, when you have a headache you must have a painkiller, right? Because a painkiller is the only thing that makes it better in that moment. So, you have to make a kind of painkiller business and not nice to have business. If it`s a nice to have business it doesn`t help you instantly. If you build this than focus on a must-have business. How can I test if there is any demand on an app that has not yet been created? In one of your articles at Entrepreneur you’re mentioning through landing or a sales page; can you explain this in more detail? There are multiple ways of testing an App. It depends on how competitive the App space is. If you`re testing your App idea one way is to have your niche, your target sector, and your value proposition very, very clearly defined. So, before you’re building the whole mobile application you can use landing pages if there are customers who would buy your App. What you do is your putting together one page which gives details what the App is going to be and get people to sign up for downloading or buying the application. So when people are giving money, even when the product is not yet finished, is for you a sign that this problem wants a solution for the problem. You can find the same concept at Kickstarter. So what is Kickstarter? Kickstarter is on a way a platform to evaluate if there is a demand for a product or not. Of course, Kickstarter is more popular on hardware based companies and products but the fundamentals are the same. Even at Kickstarter people build prototypes and then try to raise money. When people are giving you money for these prototypes that`s a good signal for you as an entrepreneur. This is what a landing page can do for you. People also can sign up for your newsletter, or you ask some questions, create a survey, set them on a phone call. That`s when you know whether there are demands and a must-have for the product that your building. How can I raise money and convince investors about my app? Or in other words: what are investors looking for? So, investors are looking for businesses that can scale, that have the potential to reach out to a really large market; that`s the first thing. And then they are looking for entrepreneurs that have the necessary drive, skills, and insights to create this kind of business. So these two things are very important for investors. It`s extremely tough, almost impossible to raise money for your mobile app before it is even built out because today kids are building an app in the garage; they are building an app in two days. So anybody can build an app today but not everybody can build a successful business or successful app business. That`s where the difference lies. If you focus on building the first version of your app, put it on the market, get customers to use your application, it can be 10 or 100 customers. But if you can show a week on week growth or month on month growth; so let`s say you had 100 customers in the first week, 110 the next week and 120 the following week, so show that people are coming in on a regular basis. It is not only about download but it is also about engagement. Do people who downloaded your app come again to your application? So what is your monthly engagement? This numbers, even when they are small, can show an investor that you can build a business and also scale the business and grow it as well. The next step would be to create a case how you build your business from 100 users to bigger numbers, how big is the market size? Is it possible as solopreneur code an app without technical knowledge? Which Software would you recommend? It depends on the app idea, to be honest. They are tools and there are platforms that are available, one example is Buildfire and there are many other platforms which are available, which somebody can use to build an App on the road. If you building a complex enterprise application you will not do it with any platforms or software. You need the help of multiple developers and multiple skill sets. What you can do yourself is build the first version, the prototype of the application with the mentioned software. If you don`t have a coding background I strongly recommend people not to learn to code. There is this thinking in Silicon Valley that everybody has to learn to code. I think this is a misunderstanding by the people, because otherwise, you have first learn to code when you decide to create an app. So you can do it but you have to be really good at coding and this takes years. Our coders have years of training and years of experience and failing, experimenting, researching and then building products. So it is not like learning one year coding and then creating products on your own. Creating Apps is also about multiple skillsets. So you have to know how to program on IOS but you also have to be able to code the backend, which is probably web based technology, which is a different language. Coding is not for everyone. Not everybody is a very good programmer. So if you don`t have a technical programmer you can become a programmer or you can become an entrepreneur. If you want to be an entrepreneur just hire the right people to do it for you. If you want to create a beta version of your app with simple functionality, then use one of the software that is available on the market like BuildFire. If you want to create something complex than you have to hire a team of developers, the reason is you need a lot of skillsets for coding. The entire process requires a lot of developer skills. You need backend programmers, you need product programmers, test engineers, database guys and also user experience people and also design people in your team. What are the biggest mistakes that entrepreneurs make during App Creation? One is that people think that the app is the end of the business but it is not. Creating the App is just a small part of the icon, so many people are not aware that the App can be a game changer. The App business is just as any other business, doesn`t matter if it is the e-commerce business. You need to dedicate your time and your energy towards it. I see a lot of people who just do things on the side. They build an app, they try to get some customers and get to another project. The question that you have to ask yourself is: are you building a business or an app? There is a difference between the two. So, are you building an app to build a business? Then your approach is completely different. In the most cases when people see it as side project it will often times not work. If you look at successful apps today the founders are fully investing their time and energy into the projects. So before you start, you should think day in, day out about it, you should dream about it while you`re sleeping and when you wake up in the morning the first thing you think about is that business and the customers and how you can drive it forward. So, the motivation and drive why people start to create an app define if people will build a successful app or not. Don`t just get into the business because other people created an app and had success. What I see often times is that many people when it comes to their budget, people have way more budget marketing the application than they have to actually for building the application. What they don`t understand is that a bad product, like an app that crashes, no matter how much you spend on marketing it`s not going to work. But if you have a really good quality product, that really works well, you have better chances, even if you don`t have a good marketing plan. So I see many people that don`t look at the quality side of the app and try to hire the cheapest programmer for their application. When you`re building the app focus more on building the application instead of the money you need for the marketing. What are signs for you that an app has high quality? At the basic level, the app should not have any buzz or any crashes. It should work smoothly. Second, it should work intuitively; if I have to read a manual or a tutorial to use the application it contradicts the whole idea of apps. It should be so intuitive that when I download the app I can use it directly. It should be so easy to navigate so that it would not be necessary that you need any further explanation how to use it. This means it needs a tested user experience. Step into the shoes of your customer and see how usable it is for them. What`s it going to make it easy and intuitive for your customer? Customers don`t forgive. If the app doesn`t fit these criteria’s the customer will delete the app. “The most common ways to generate an income from an app are advertising, in-app purchases or a subscription service.” You`re also mentioning the partnership with another brand. Can you explain this in more detail or give examples for it? There are so many ways how people are monetizing or generating revenues from apps. There are still new business models that are emerging. There were also some different standard business models like: pay to download, in-app advertising (so the application is free and you earn money through advertising) or the in-app purchase (application is free and you have in-app purchases). With time the business models also changed; most apps are free so the percentage of pay to download decreased significantly. Many apps were free and then the founders looked at monetizing through customers on the long-term. So there are many business partners to work with but here is what I can share. When you`re looking for ways for generating revenue approach it strategically. You have to see the lifetime value of your customer has to be at least three times the costs of acquisition of that customer. So, if you`re spending one dollar to acquire that customer who is using an application you have to make at least three times from this customer, this means that the customer should spend at the very least three, four dollars into the application in order to build a profitable business. That’s where it becomes challenging. A very good way to do this is a subscription model; they became way more popular in recent times. It means that people subscribe on a monthly basis to use certain futures of your app. What happens is: even when your app is ten dollars a month but you`re paying 30 dollars to acquire this customer. If the customer stays for more than three months, let`s say he stays for six months and pays 60 dollars. When the customer stays 9 or 12 months the app is becoming more and more profitable. When you have a subscription business model you spend a little bit more at the upfront but you have the ability to earn far more through this customer. This is one of the more popular ways of generating revenue but that`s not for everyone. People are making profits with far more different models as well. There are people who are earning 100,000 Dollar just through advertising. And then you have the possibility for using different revenue models and combine them as well: so you can have advertising, in-app purchasing along with the advertising, somebody can pay a certain amount, even some premium features that somebody can purchase in the app and also subscription as well. What are good ways for Marketing my App? Any best-practice methods? When you have a budget than focus und building the application itself and not marketing, my point was that you shouldn’t have a bigger budget for the marketing than actually creating the app. But one of the biggest mistakes that also happens is, that people think just because they build an application people will come; just because they start a shop people will come in. It`s not happening right away. There are thousands of apps launched every day, what are the chances that people come and discover your application? So you have to start your marketing even the application is under development. It doesn`t mean that you have to spend money, there are many ways, you can actually build a Facebook group, start getting a part of your target group to the Facebook group. Don`t just promote your app but rather start creating engagement for your product. So, for instances when you`re creating a fitness product talk about the fitness area or what your product is going to address. Add value to those people and create popularity; if you`re able to build that as a brand, people who engaged are more likely to buy from you. So that`s part of marketing, right? So when you approach marketing many people make the mistake that they look at what is popular. So, Facebook ads are popular, SEO is popular. You should not choose your channels based on popularity because what is popular today may be not popular tomorrow. What works for one person may not work for another. You need a more strategic approach. You need to understand who your customers are. You have to identify your customer and give your customer also a name. What is the name of your customer? How much does he earn on a monthly basis? What publication does your customer read? Where does he consume information? Which social media channel does he use? Where are they most engaged at? So first find out as much as possible about your customer and then figure out which channels would be good in order to reach your customer. That means it depends on your customer what channels you going to choose. Start first with the customer and then choose the channels you want to use to reach your customer. There are so many channels available today. There is Public Relation through newspapers, television, blogs, podcast, Youtube interviews. Don`t try to spend time on all of them; you should be focused on one or two channels based on your customer that you identified before choosing your channel. Try to go deeper on them because each channel has the potential to reach to millions of customers. When you’re creating your community than try to create an engaging community through adding value to each other not just you communicating to them. They should be engaged to communicate also with you. Focus on a community that doesn`t take money. Focus on App-store-optimization which is equal to search engine optimization just for apps. You have to optimize your app in order to show up at searches on app stores. If you`re app goes live than focus on PR but don`t focus on New York Times. Start really small. The big publications get thousands of requests every single day, so it is way more difficult to reach out to them with your product. It`s best to start very local and small. Look in your own city; what are the publications in your own city? Who are the local bloggers? The local podcasters? Approach them in your local city. Go from small and use them to go to bigger publications.